I am absolutely appalled. I took my daughter to the pediatric dentist for the first time. I got a little nervous when they didn’t let me back with her, but I didn’t want to make her worry so I pretended it was no big deal and she’d have a lot of fun. You can imagine how heartbroken I was when she told me that she got scared so they strapped her down. When they brought her out I could tell she’d been crying. I called, thinking I must have misunderstood her or she didn’t know how to explain what actually happened. They told me it’s standard procedure in dealing with an uncooperative child. Please tell me that’s not correct. She doesn’t ever want to go back. I’m heartbroken with you for the trauma your little girl experienced. I believe what you’re referring to is a papoose board. It wraps the child which essentially keeps them from moving during their appointment. It used to be a regular practice in many pediatric offices but has come under fire in recent years. 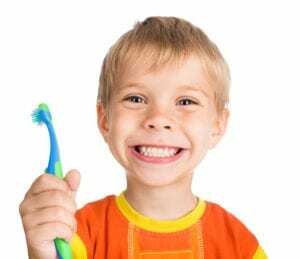 Even the American Academy of Pediatric Dentistry has warned of its drawbacks and said parents have the right to terminate its use at any time. While some children do better alone, many feel comforted knowing the mother is there to look out for them during their appointment. The goal of pediatric dental care is to give children a positive experience and get them excited about taking care of their teeth. I’d say your pediatric dentist totally failed at that. You’ll obviously want to switch to a different practice. You can take your daughter to a pediatric specialist or a general dentist who enjoys treating children. One way to know how good a general dentist is with children is the age they’re willing to first see them. If they say around two years of age, you can feel pretty sure they’re comfortable with the wee set. If they say 8-10, then I’d look elsewhere. Given your daughter’s experience, you’ll want a dentist who will let you go back with her. She’ll need to feel safe. You may also want to give her some nitrous oxide. It’s commonly called laughing gas and will help relax her. Wherever you end up, be sure to check their reviews ahead of time as well. Please tell the new dentist what your daughter went through so they’ll be prepared to handle her understandable fear. We want to get her on the right track having positive experiences. Most adults who end up with dental emergencies do so because they had a traumatic experience as a child and now avoid the dentist until their services become unavoidable. For those patients, we recommend oral conscious sedation. It’s stronger than nitrous and will allow them to sleep through the appointment. That would be the last resort with a child, though. Let’s see if we can’t get her relaxed and happy without it.